Still Some Fun to Be Had! Pizzeria Deville in downtown Libertyville has chosen Mothers Trust to be August's Charity Pie Partner. Pizzeria Deville has THE BEST sauce recipes & amazing ingredients combined to make a delicious authentic woodfire pizza ~ something for everyone!! This summer MTF has assisted 221 kids attend camp, many of whom are youths with special circumstances and special needs. 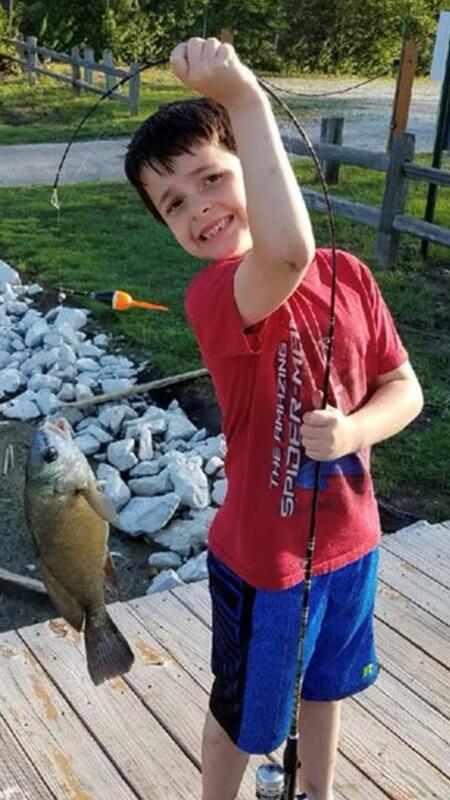 Camp is not just about having fun ~ for the kids we are helping, camp provides a safe place to be during the summer and allows parents to continue working. All children, especially those with disabilities, are able to maintain skills and have access to wellness opportunities which promote good physical and mental health. MTF's assistance with camp funding has increased 54% over the past 3 years. 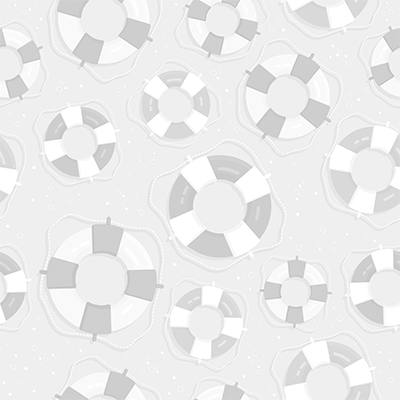 This need exists not only during the summer, but throughout the year during various school breaks. "Keeping Kids Out of the Rough"
Friends and supporters enjoyed a beautiful summer day on the golf course, capped off by a cocktail reception and dinner. 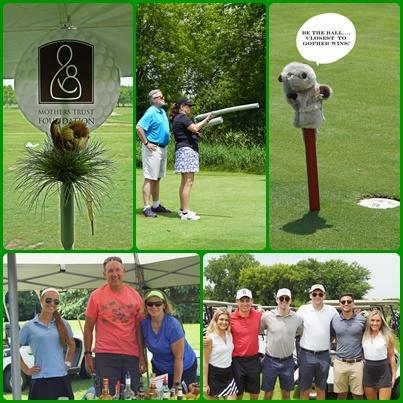 100 attended the Caddyshack themed outing. Contests included: "Closest to the Gopher" and a ball launcher for added fun. 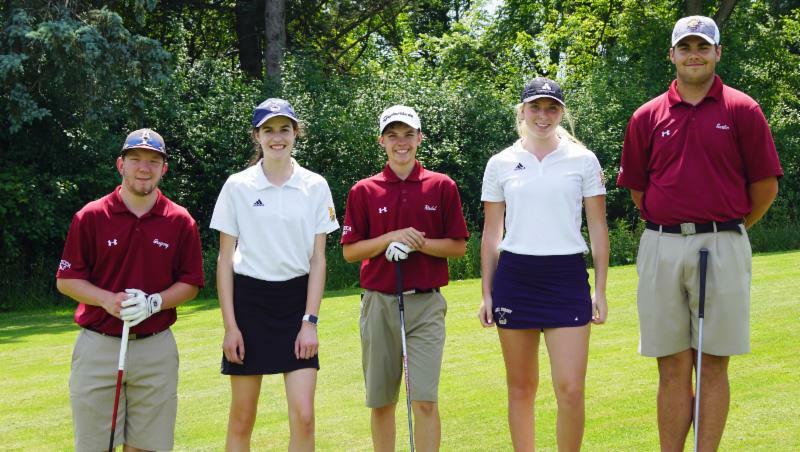 Thank you to Antioch HS and Lake Forest HS Golf Team members for providing their expertise and raising funds with the "High School Drive"
Lake Forest Bank & Trust, Associated Bank, Sue & Steve Slaughter, Law Offices of Doug Zeit, Neal & Associates, CPA, Pet Factory, Avison Young, Libertyville Bank, Kim Croisant, Vicki Rossetti and Joy Gossman, Silver Pepper, Kemper Sports, Lori Glattly, Ross Jannotta, Jim Preschlack, and the many participants who made donations to help us reach our goal. We invite you to join us in September for a very special "Betty" Gala. 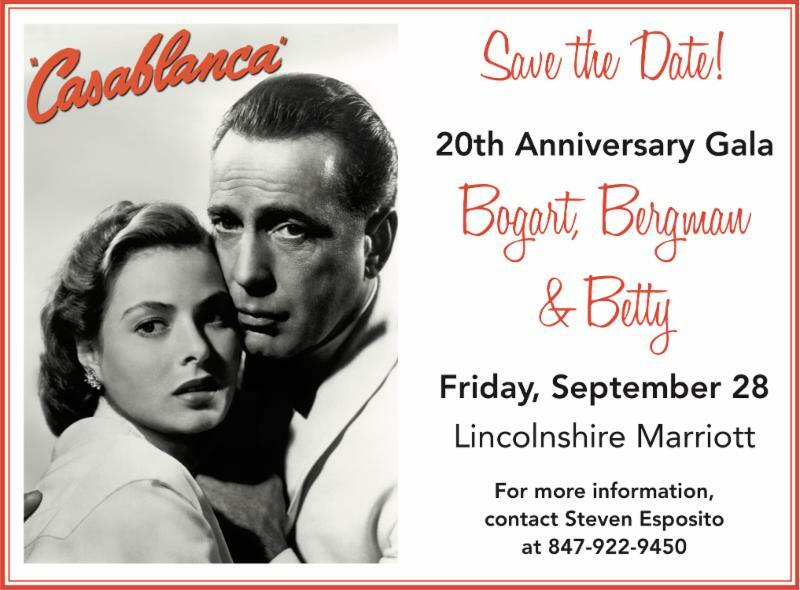 The Bogie, Bergman & Betty Gala will be held on Friday, September 28, 2018 at the Marriott Lincolnshire, with a Casablanca theme. Our traditional women only Betty Bash will return in the fall 2019 when Betty turns 21!! 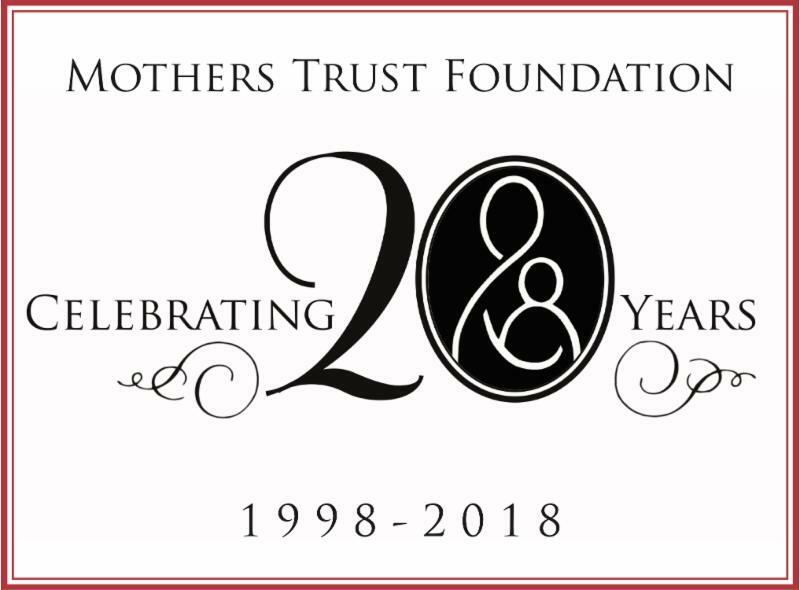 In recognition of our 20 th anniversary Mothers Trust wishes to unite/reunite our friends, long-standing community partners, volunteers and all those who have played a significant role in helping over 33,000 children in Lake County with more than $2.6 million in assistance. as the Premier 'Bogie' Sponsor. 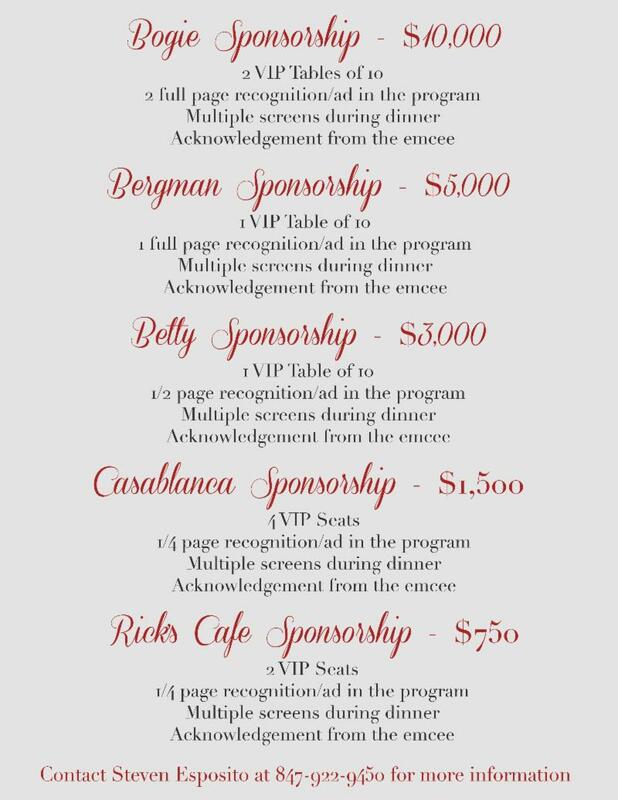 Heal Team 6, a local 501(c)(3) charity organization, has offered to host this event, with 100% of all net proceeds associated with the Bogie, Bergman & Betty Gala to benefit the Mothers Trust Foundation.